1. Background: Community Health and Social Welfare Systems Strengthening Program (CHSSP) is a USAIDfunded cooperative agreement led by JSI Research & Training Institute, Inc. with a consortium partner World Education, Inc. The program is implemented in 106 PEPFAR scale up councils across 24 regions of Tanzania. CHSSP aims at improving health, well-being and protection outcomes for HIV affected and other most vulnerable populations through strengthened linkages between health and social welfare sectors. CHSSP is seeking a short-term consultant to facilitate and moderate a 3 days team building retreat and knowledge sharing workshop for JSI/CHSS Project personnel to be held in Tanga City from the 12th to 14th December, 2018. Number of staff who will participate is expected to be 60. The scope of work will be to facilitate a three days team building activities and to compile a report outlining the workshop's proceedings, including practical recommendations and operational tools which can be used by the team in the future.  Interactive and flexible facilitation tools and material aids for brainstorming prepared prior to the workshop. It is expected that the exercise is creatively organized to include strategic brainstorming sessions aimed at helping staff develop and articulate corporate and individual work plans to ensure optimal delivery of the program outputs. It should also include individual coaching sessions on the second day of the session, when necessary. The consultant is also expected to design the process and to assign time frames to specific activities. CHSSP assigned staff will be available to provide logistical arrangements and any other support when needed.  Improving processes, procedures and supporting the improvement of control systems. The assignment will run for three days, from 12th – 14th December, 2018. This being the case, the consultant is expected to arrive in Tanga on the 11th and depart on the 15th December 2018. The consultant will be supervised by CHSSP Senior Finance and Operations Manager and on occasional basis she/he will receive support from Chief of Party.  Proven track record of facilitating team building and knowledge sharing workshops and consultancy experience.  Full computer literacy and fluency in English – both written and spoken – are essential. To apply please send your CV/company profile and a proposal that summarizes your understanding of the ToR and details of how you plan to execute the assignment and the budget. Submit your application through e-mail to [email protected] by 14th November, 2018. 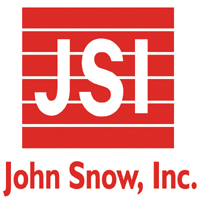 JSI Research & Training, Inc. is an Equal Opportunity, Affirmative Action Employer committed to workplace diversity. We are committed to providing equal employment opportunities for all qualified applicants and employees without regard to age, race, color, national origin, ancestry, creed, religion, gender, disability, marital status, sexual orientation, sexual preference, genetic information, political affiliation, or protected veteran status in any employment decisions.